I’ve tried several low carb chocolate chip cookies while on the look out for the best, and these are hands down THE BEST! My friends are some of the pickiest eaters out there and if I get the stamp of approval here, then I know these low carb chocolate chip cookies must be delicious. Within a day the entire batch had disappeared. In my book, that’s a successful cookie recipe. 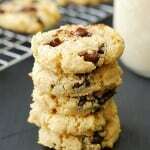 The other low-carb chocolate chip cookie recipes I’ve tried left me without that ooey gooey and chewy texture I love. I wanted a low carb chocolate cookie that tasted just like a carb loaded chocolate chip cookie but without all the guilt. Some of the recipes I’ve tried were dry, flat and crispy. These decadent cookies however are soft, chewy and moist and not the greasy or under cooked kind. Omg!!! I just made these cookies, and seriously, these are the best sugar free cookies I’ve ever tasted. Even my picky Fiancee says they were delicious. Best recipe. Well done. They have a great density, meaning that they’re nice and thick. You can also add pecans or sea salt to really pack a punch. 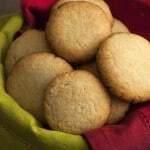 You should try our tasty and moist Low Carb Sugar Cookies. Make them today! Baking with almond and coconut flour can be pretty tricky but these cookies are fool-proof and the recipe is nice and detailed. This recipe should be just as easy as baking ordinary chocolate chip cookies, just a lot less guilt at the end. If that sounds great to you then you’ll love this recipe or maybe even my recent recipe for low carb shortbread cookies. 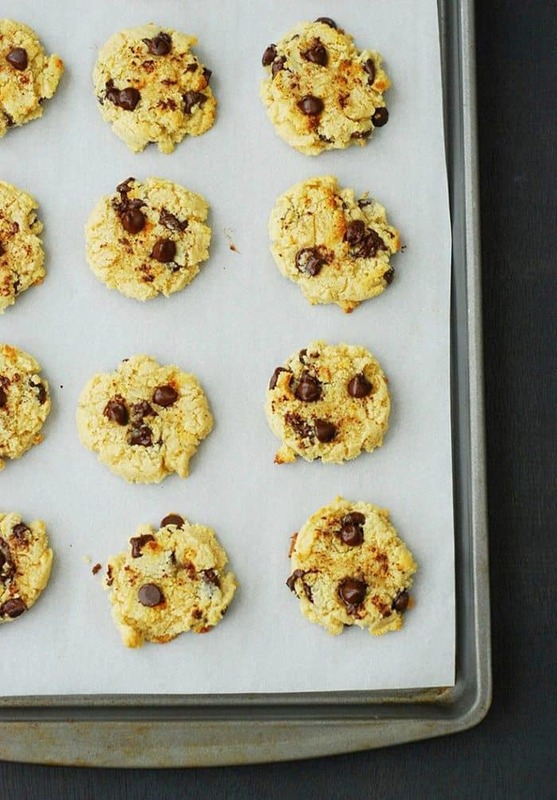 These are the best low carb chocolate chip cookies, ever. Soft, chewy, thick, and you won't even be able to tell the difference! Preheat the oven to 350. Line 1 large baking sheet with parchment paper. In a bowl, sift together almond flour, coconut flour baking soda and salt. Drop 1-2 tablespoon size mounds of dough onto baking sheets, spacing the mounds at least 2 inches apart. Using your the palm of your hand or the bottom of a clean cup, flatten the cookies to the desired size and thickness. Bake cookies for 10 to 12 minutes, or until slightly golden around the edges. Cool the cookies on the baking sheets for 2-3 minutes then transfer to a wire rack to cool completely. NOTE: I forgot to flatten my cookies until they were 3 minutes from being finished so that's why they look a bit ugly/funny. So, don't forget because they don't spread or flatten! Thank you Andres!! These look wonderful – thank you for sharing all of your fabulous recipes! Andres, I am so sad. I really wanted some chocolate chip cookies. These looked so good. But some goofball (me) set the oven to 400. They were scorched! So depressing. I have to go get some more almond flour and try again soon. Made them again a couple of times. SImple and delicious. I think possbly my favorite low carb chocolate chip cookie recipe. 10/10, will make again. Can you tell me if the sweetness of these low carb cookies measure up to the sweetness of regular chocolate chip cookies? I do have a sweet tooth! You could probably add a little extra sugar substitute. I used Stevia and they were really good but could stand to be a little sweeter. This has been the best low carb chocolate chip cookie we’ve tried so far! This was our third recipe to try and it has tasted the most like a “real” chocolate chip cookie! Even my kids liked it! Thank you! I made these last night and they turned out great! I actually couldn’t find coconut flour so i just used almond flour and it still tasted great. I made these last night and they’re awesome! 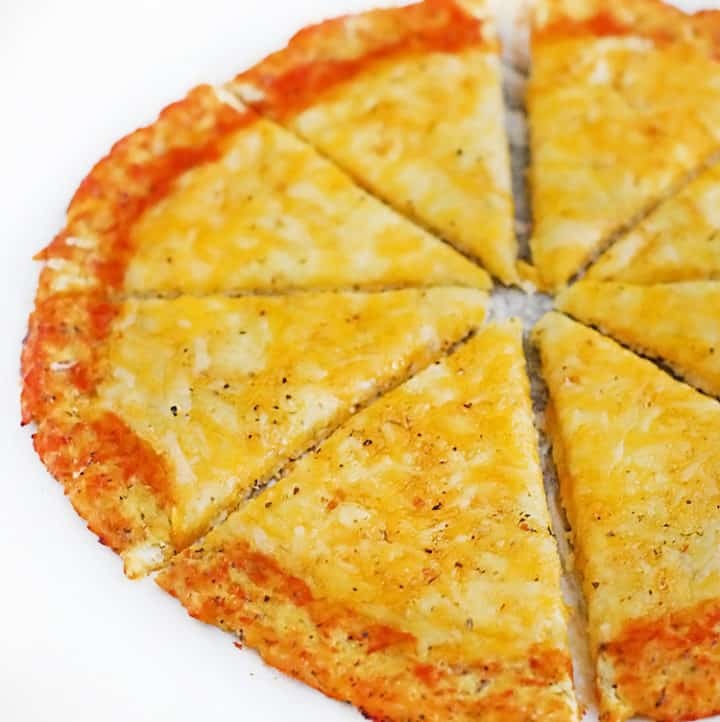 Thanks for the great recipe… will definitely be a staple in my low carb repertoire! We’re so glad that you enjoyed the recipe. Thank you for your comment! These are amazing. I just made them and ate two warm out of the oven. They are wonderful – especially to someone who hasn’t touched a CC cookies in months. 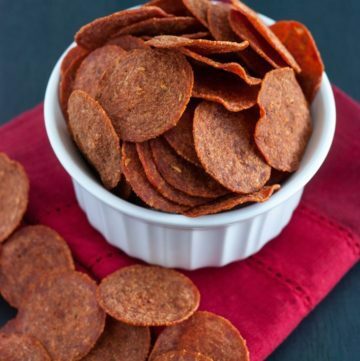 I’m passing the link to your recipe to my low carb friends on FB. Thank You Andres for this recipe. These cookies are beautiful and Yummy! My whole life I have tried to make regular chocolate chip cookies with this texture and fluff. Who knew I would find it in these. I did reduce the sweetener by half because I don’t love the after taste of sweeteners. They are perfect in every way. My husband is type 1 diabetic so he thinks they are “The Best” too. It is not that often that he has something this fun to eat! Hi Andres, recipe sounds wonderful but I would like to know how much butter does the recipe need also what kind of butter did you use? I cant wait to try this recipe!! I am sorry andres, have a bad sight, just saw it, thank you !! These look really good, I enjoy all your recipes. I was wondering where you get your sugar free chocolate chips and what brand you use. Wow these are so good! I just made them and they smelled so good I couldn’t wait to try one fresh out of the oven. They are as yummy as the high sugar/wheat/carb cookies and one or two will satisfy my cravings. Thank you for such a great recipe!! These turned out great! I made some minor adjustments: I added more vanilla, cut the sweetener in half (used a sugar/stevia blend), and I used regular mini semi sweet chocolate chips. The cookies were plenty sweet and we ate half the night they were cookies. The next day they had softened somewhat but were still very good. This is a “keeper” for our low/lower carb recipe book. Thank you. We’re glad to hear that you enjoyed the cookie recipe, Karla! Hi, I’m new to low carb/wheat/sugar-free cooking. Can I double this recipe, or do I need to mess with flour-moisture ratios? They look awesome & I don’t want to mess them up! Thanks! Nicole, you shouldn’t have any trouble doubling the recipe. We hope that you enjoy the cookies! These cookies are amazing ! The texture and taste are just like normal chocolate chip cookies. Soft and gooey inside, crisp around the edges. They are very addictive i cant stop eating them. Thank you very much for sharing this recipe. We’re so glad to hear that you enjoyed the cookies, Serene. Thank you for letting us know! These were very good. A tad on the dry side, but were excellent with almond milk. They were also more cakey than what I usually like my cookies to be. 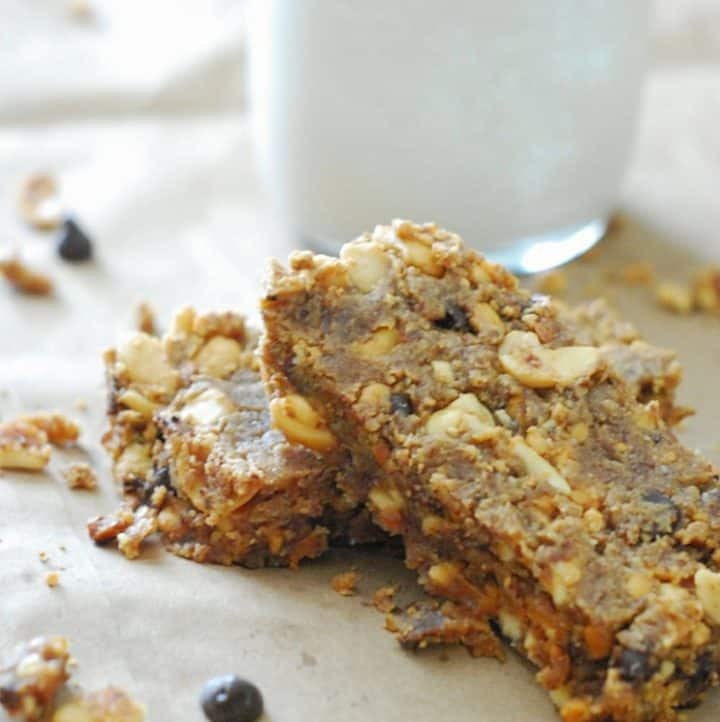 I will make them again as they were super easy to whip up, and did, in fact, hit the spot when I dipped them in my almond milk. Thanks for the recipe! What other sweetness can I use? That brand doesn’t exist in Australia. Hi, is there a way to make the cookies more crunchy like a cookie and less cakey? I haven’t tested the recipe to create more of a crunchy cookie because I do like mine dense and chewy. 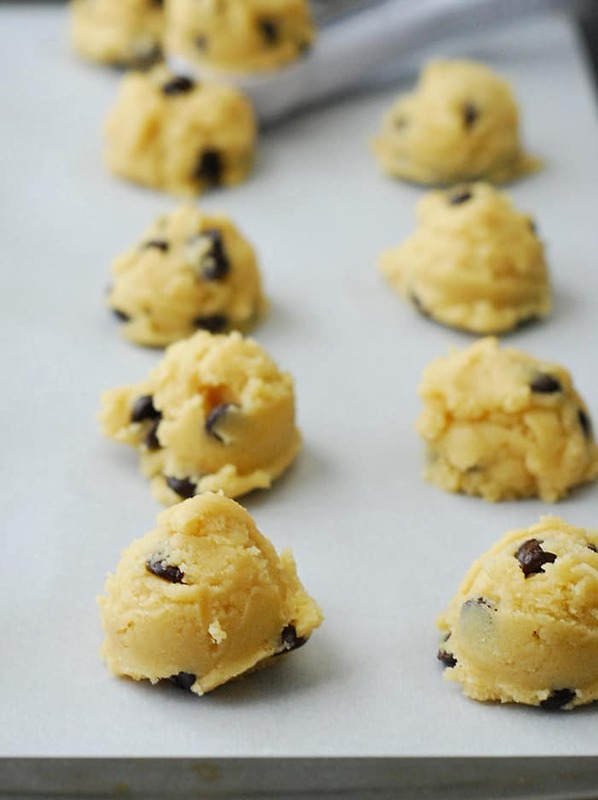 But you could try some of the following tips to produce more of a crunchy cookie: replacing the eggs for egg whites, making sure the dough is warm before putting it into the oven and/or allowing them to cool off on the pan for several minutes before transferring to a wire rack. Thanks for your question, Lance. Coconut flour is what’s making the chocolate chip cookies so moist. You might want to substitute almond flour instead and see if that gives you a crunchier texture. You could also try setting the oven to 375 instead of 350 and leave the cookies in for 1-2 minutes longer. Good luck! Hi Becca, thanks, then should I substitute the 3 tablespoons of coconut flour with 3 tablespoons of almond flour (even though recipe already requires 1 1/4 cups of almond flour)? I had understood in the past that coconut flour to almond flour substitutions were not 1:1. Lance, because coconut flour absorbs more moisture than almond flour, I would normally say that you’d want to add more almond flour or back off a bit on the wet ingredients. However, this recipe doesn’t have a lot of wet ingredients, so frankly, I think you’ll be just fine with adding 3 Tablespoons. If the dough seems overly wet, you can add a Tablespoon or two. LOVE LOVE LOVE these cookies! Best and easiest ones I’ve ever made! Thank you! We’re delighted to hear that, Nicole! Thanks for letting us know your thoughts. I follow the recipe exactly and just add a tab bit of cream cheese for a more moisture taste and this is FLAT OUT AMAZING……..
We’re very glad to hear that you enjoyed the cookie recipe, Joe! Made these last night. Excellent low carb cookie! Even my hubby who is pretty picky when it comes to accepting low carb replacements for his regular treats said they were good. I just slightly under baked them, which was my preference in order to maintain a softer chewy cookie. I took them out right at the point only one or two of the cookies had the slightest color. Perfect! These are great my grandson went low carb with the four of us and being he is a teenager who loves cookies well they’re his favorite s .
I have made these cookies exactly as the recipe says many times over. Perfect. Every. Time. Now, when I bake them, I also try to add whatever chopped nuts I have on hand to throw into the mix. Love it! Thank you so much for sharing this recipe with the rest of the world. 3 months ago I began my low carb. journey. I’m down 36 pounds and still going strong. This cookie helped when I just wanted that special something without feeling the guilt. 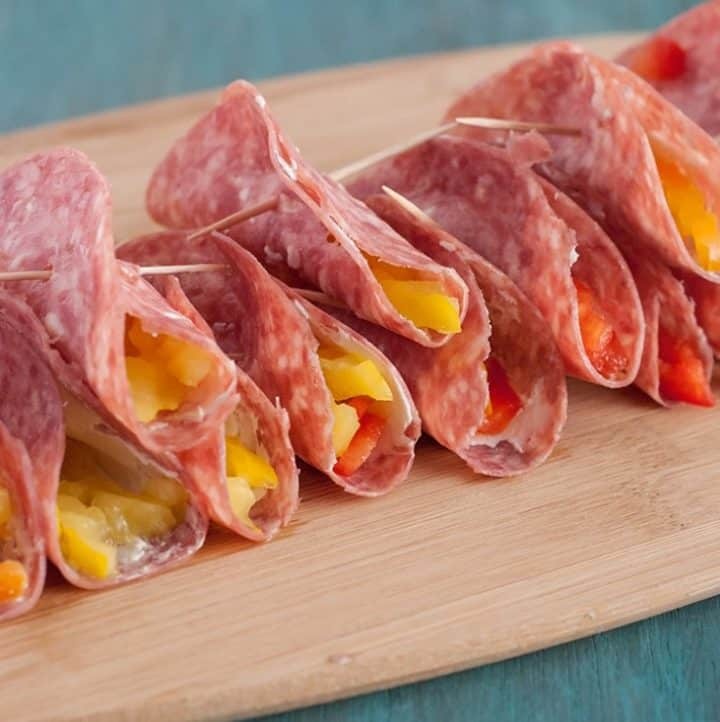 These are amazing and easy to make. These were fantastic! Finally found a cookie that will satisfy my craving without feeling guilty! These cookies are so delicious!! 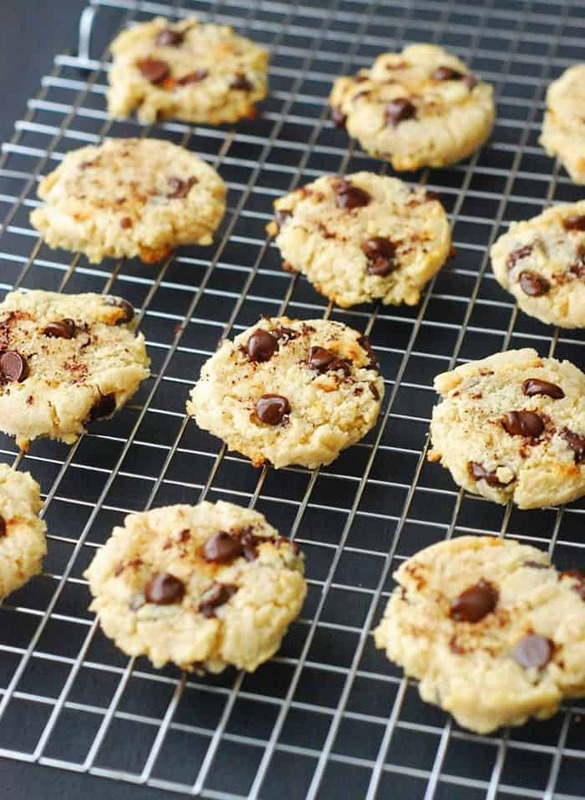 This is our favorite Keto Cookie recipe. We have tried quite a few. We used Anthony’s premium Erythritol sweetener. We added an additional 1/2 cup to your recipe. Àwesome! The mix of almond flour and coconut flour gives a perfect texture. Just made these cookies and they are really good. Best homemade low-carb cookies I’ve had yet. I’m very impressed. Mine were kind of salty since I used salted butter. I think I will try with unsalted and see how they come out. Thanks so much for the recipe. Fantastic! Absolutely delicious! My new very fave keto cookie recipe! Thank you so much for sharing This! Win, win, win.I’m a month into LCHF and have had a sweet tooth this final week. 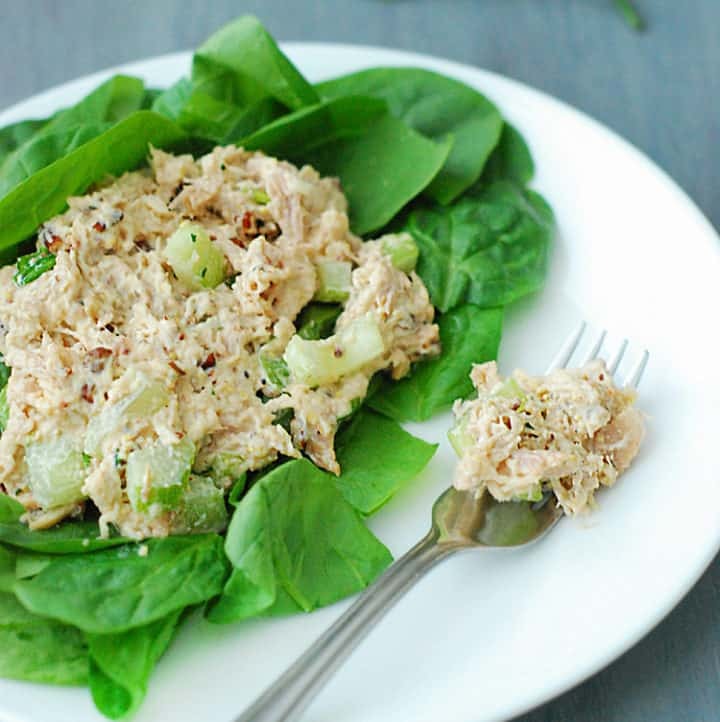 This recipe completely satisfies….guilt-free!! 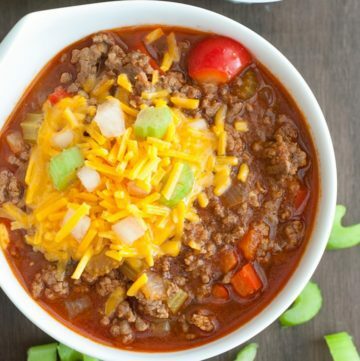 Seriously fabulous recipe! I’ve tried a bunch of different ones and this is as close to a high carb choco chip cookie as I’ve found. I use erythritol with a few added drops of liquid sucralose to sweeten them up just a bit. Perfection! 😀 Even my picky kids love them. I do not regret the decision to double the recipe. The changes I made where 1 – no salt since I used salted butter; and 2 – only used 1/4 cup of Truvia baking blend plus 1 tbsp of brown sugar since I no longer enjoy super sweet treats anymore. These came out perfect and super yummy – goes great with a cup of tea. Thank you for this recipe! Just a thought, since these cookies don’t rise, is the use of baking soda required? SO GOOD. I use 1/2 the sweetener and no coconut flour. Omg!!! I just made this cookies, and seriously, these are the best sugar free cookies I’ve ever tasted. I double the recipe and use Hersheys sugar free chocolate chips. Even my picky Fiancee says they were delicious. My whole apartment smell like cookies. Best recepie. Well done. These are excellent! I made a batch yesterday and my sweetener of choice is Waldens no cal no carbs Pancake Syrup. The batter is nice and thick, looks like the real thing. 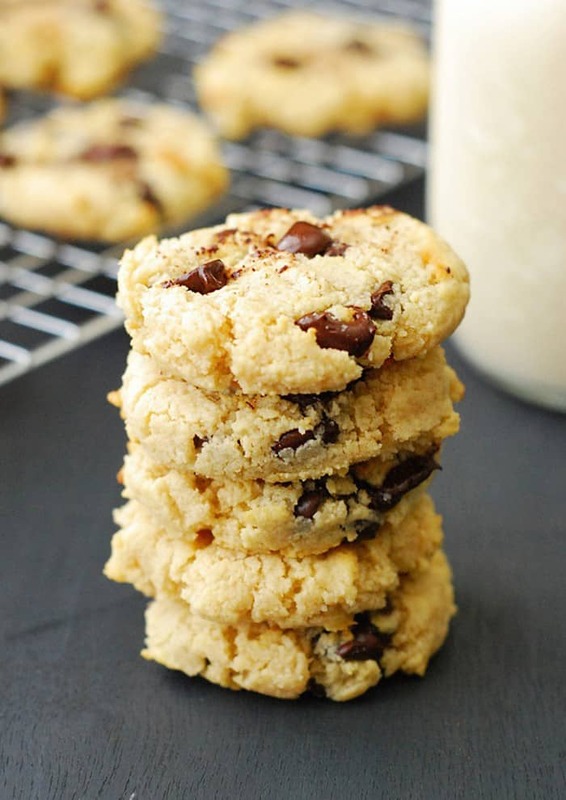 I have made other gluten free low carb choc chip and these are the BEST! These are so delicious!!! Thank you! You’ve saved me from caving to the normal chocolate chip cookies I make for my family. One question though, is the serving 1 cookie? Thanks again! I’m beyond glad you enjoyed the recipe, Frankie! These have been a family favorite since the first time I whipped them up. Yes, the serving is one cookie.